Cokie van der Velde is not your typical grandmother. She has travelled to 14 countries with Médecins Sans Frontières‎​/Doctors Without Borders (MSF), working as a logistician and a water sanitation specialist on infectious disease projects. Before joining MSF, Cokie taught science and outdoor education in north Yorkshire. She then founded her own company which organised and facilitated outdoor expeditions geared towards people in managerial positions. After a number of years running her company, Cokie had a change of heart. She set off travelling and when she returned, she applied to work with us. Here, we take a look back on Cokie’s time with MSF. Cokie poses with Water and Sanitation staff outside an Ebola treatment centre in Guinea. Cokie’s first mission took her to Turkmenistan for 15 months. This project, which began in 2004 and based in eastern Magdanly district, supported the paediatric, infectious diseases, intensive care and maternity wards of the town hospital. She was the first person on the ground for this project, and was in charge of initiating the mission and employing all staff. Unfortunately, bureaucratic obstacles in Turkmenistan were hampering MSF’s efforts in the region, and the decision was made to withdraw in 2009. In 2008, Cokie was beckoned to southern Zimbabwe to help fight the deadliest African outbreak of cholera in more than a decade. As the outbreak moved around the country, Cokie and her team followed it, constructing and deconstructing cholera treatment centres as they went. These centres were sometimes integrated into local clinics, and at other times were in the middle of the bush; tents were used as isolation wards and latrines were built out of plastic sheeting and wooden poles. 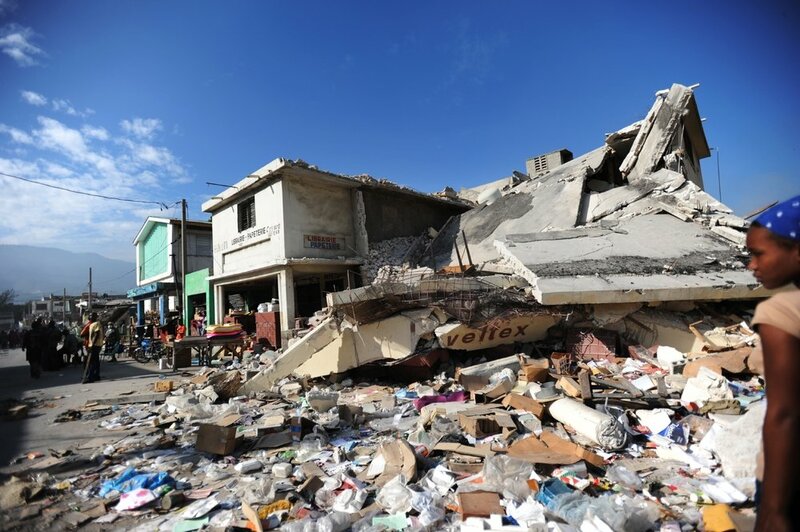 Cokie was a part of MSF’s response team in Haiti after the earthquake hit in 2010. She spent six weeks supporting Cité Soleil hospital in Port-au-Prince. 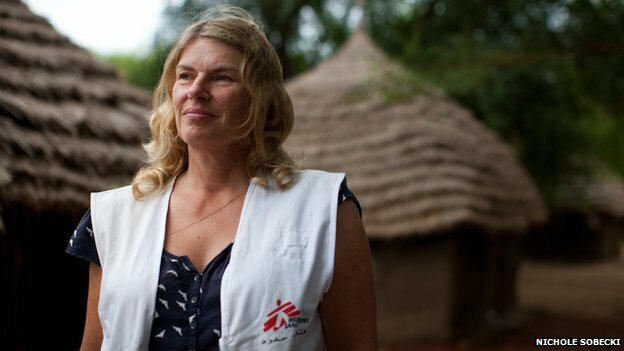 “I was part of the team relieving the MSF personnel who had been there since the beginning of the emergency. All had worked very long hours with no time off at all and had stories of desperate people with terrible injuries." Collapsed building and rubble in Port-au-Prince city centre. 2010 was a busy year for Cokie; in October she began missions in Chhattisgarh and Nagaland in India. Cokie was the project logistician in these regions during the monsoon season. She was responsible for getting cars, supplies, and people to the projects that were essentially in the middle of the rainforests. 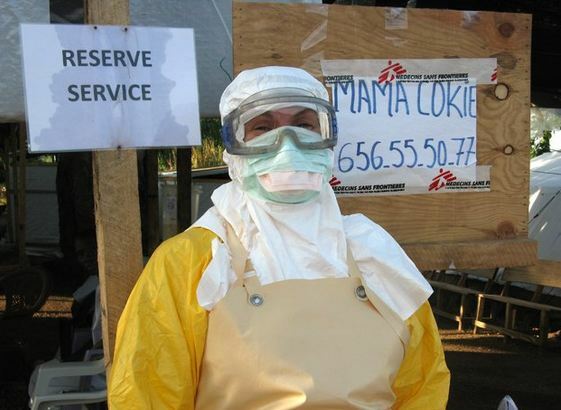 In 2014, Cokie was stationed in the Democratic Republic of Congo when the Ebola outbreak in West Africa was declared. 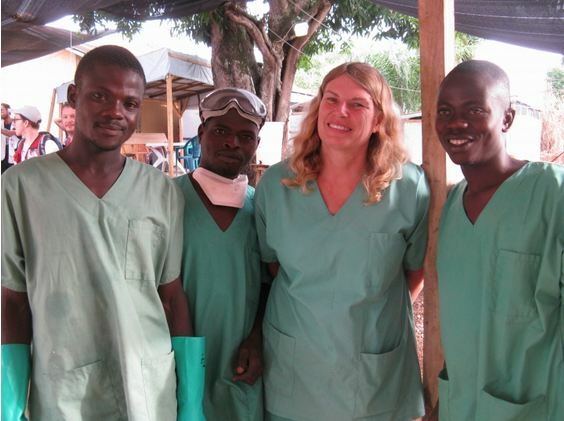 She was quickly sent to Guinea, and eventually Liberia, to support MSF’s overstretched teams on the ground. Cokie travelled to Liberia twice, and in the first four weeks that she spent there she saw patient numbers rise exponentially. “It’s my job to make sure infection is kept under control,” she explained at the time, “to train people in how to wear the personal protective equipment and teach the protocol for getting in and out of high-risk areas in the Ebola management centres. Cokie speaks fondly of the children she worked with in Liberia, remembering one in particular; an 11-month-old boy called Augustine. Augustine’s mother had died from Ebola, and when he tested negative, Augustine was placed in an area with other children who had been orphaned by the disease. “One of my jobs is to take the dead bodies every day from our centre to a crematorium,” Cokie tells us. “Sadly yesterday, they opened one of the bags and it was Augustine, the baby. He didn’t make it."